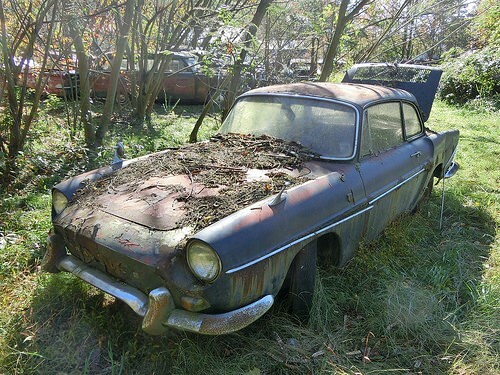 Even modern car bodies can be susceptible to rust, and rust on a car can be like an epidemic. A disease that is left unchecked and untreated can spread, destroying both the appearance of your vehicle and the resale value. Rust is the result of bare metal coming into contact with oxygen, causing oxidation and ultimately, rust appearing on exposed metal areas on your car. Surface rust can develop from a chip in the paint or as the result of broken paint surface over a dent. How do you fix car rust? Step 1) Start by washing the area around the rust spot, using soap to dissolve the grease that is not soluble. Then dry the same area. Step 2) Then take some masking tape and make a border to cordon off the rusted out area so that debris will not get onto the existing paint and the paint will be protected from the sanding that is to come later in the process. Step 3) Sanding serves to level the surface so that you can't feel the difference between the painted surface and unpainted surfaces with your fingers. Then, take a sanding sponge or a strip of 150 grit sandpaper and rub on the area that is rusted, making sure to push the sandpaper only with your index finger or use only a corner if you are using a sanding sponge. You want to walk a fine line here, getting rid of the rust without also damaging the metal underneath it. Do not stop sanding until you see that all of the rust is gone, and avoid sanding on metal or paint unless it is absolutely necessary in order to get the rust out. Step 4) If there is a dent or deep pock marks left over from the rust that are not capable of being ground out without damaging the sheet metal, Bondo (available at your local auto parts store) or another body filler will fill the gaps, dents and pits. Make sure that the final sanding passes are perfect. Step 5) Then apply a coat of epoxy primer to the sanded area. If you skip this step, the metal remains exposed and at risk for another round of rusting in the very near future. Wait until the primer dries, apply paint in three or four very thin coats (allowing about two hours between the application of each coat) and then move on to the next rusted area you need to repair, repeating the entire process. Step 6) After you have treated all the rusted areas in this way, wash and wax the car.